Pennsylvania was one of the last states to accept that gambling could pay off for it. In fact, Pennsylvania did not even have the legalization of gambling until the mid-2000s, because of the austerity, Quaker-influenced background of the state. 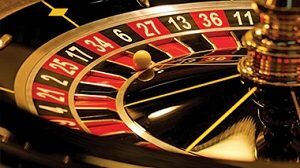 Over the last decade, the state has been gradually expanding their gambling offerings. It has started to pay off in a big way for the state. Since the state expanded into sports gambling and online gambling over the summer, it has raked in nearly $400 million dollars in tax revenues. There was no gambling at all in the state until 1971, when legislators decided the state could approve a state lottery to repeal property taxes for citizens over 65 years old. Although there were several pushes for gambling after the 1970s, none of them was successful. However, in 2004, the governor and the legislature finally got a bill passed to legalize casinos and racetracks in Pennsylvania. The overwhelming success of the casino franchises and the lack of a rise in the crime rate led the state to move towards offering other gambling establishments. Since the original casinos and racetracks, the state has done a further expansion. Pennsylvania began its gambling expansion by making the decision to offer mini-casinos in areas in the state that were not served by either a casino or a racetrack previously. In addition, the state has legalized gambling machines in truck stops, bars, and airports. The two largest moves by the state have put it at the forefront of pro-gambling states. First, the state legalized sports gambling in the state, and allowed sportsbooks at its casinos and racetracks. The state was not allowed to legalize gambling until the Supreme Court struck down the federal law that outlawed sports gaming. 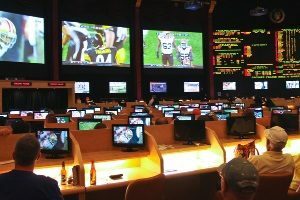 As soon as the Supreme Court ruled that states had the power to decide for themselves whether or not to allow gambling, Pennsylvania prepared legislation to approve sportsbooks in the state. The sportsbooks were open in time for the college and pro football season. The state also decided to legalize online gambling. Pennsylvania is one of four states with online gambling. It is expected that sports and online gambling alone will bring in hundreds of millions of dollars. The large increase in revenue for the state of Pennsylvania happened for several reasons. First, companies paid money for licensing rights for sports gambling and online gambling franchises. In addition, companies spent nearly $130 million dollars on the state in auctions for the rights to build 10 mini-casinos throughout the state. The mini-casinos, which are much cheaper to build than larger casino resorts, were still an expensive purchase at auction. In the fiscal year of 2018, the state made over $926 million dollars in gambling revenue. The vast majority of the revenue goes towards property tax relief, and the lowering of school property taxes. This is in contrast to many states in the United States, where gambling proceeds go directly into a fund for school districts or in the general fund of the legislature. Pennsylvania is hoping not only to reap the benefits of increased gambling, but also to reap additional dollars in other ways. For example, restaurants and shops in areas where gambling is located will benefit from increased traffic in the area. If the area around casinos is made attractive enough, casino goers may choose to spend the night and shop or eat in the area. This thought is attractive to many people in the state, who sometimes feel that they are overlooked in the tourism game.